In my next life I'll be a vagabond. This is the time of year many of us have kids or grandkids moving out for the first time. It can be an adjustment as it was for Rebecca when she made the move to the college campus. Away from home for the first time can be a little lonely. At first I wrote letters but in today’s digital age where we could talk regularly, Skype and see each other, plus email it soon seemed that there wasn’t enough news to compose an entire page. 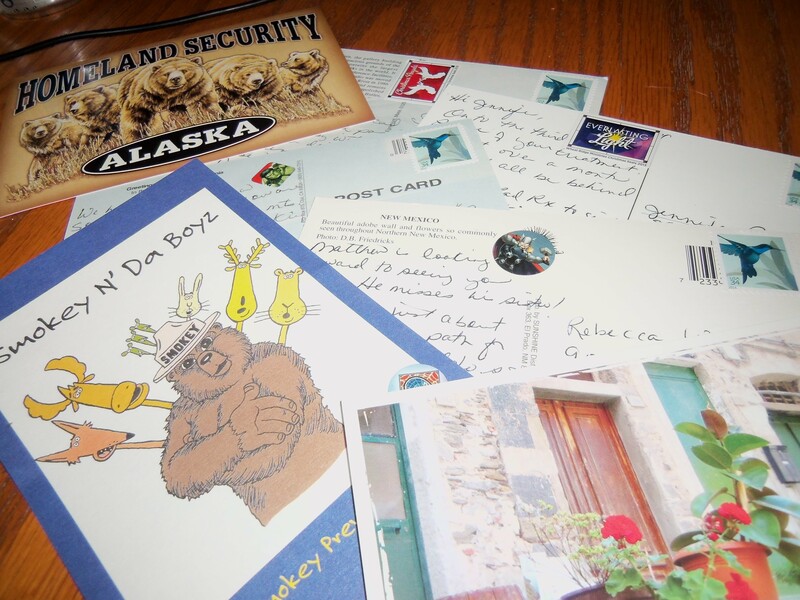 Eventually it occurred to me that Rebecca, who still wanted to find mail in her box, might enjoy postcards from our past travels. And so began my Postcards from Home project. 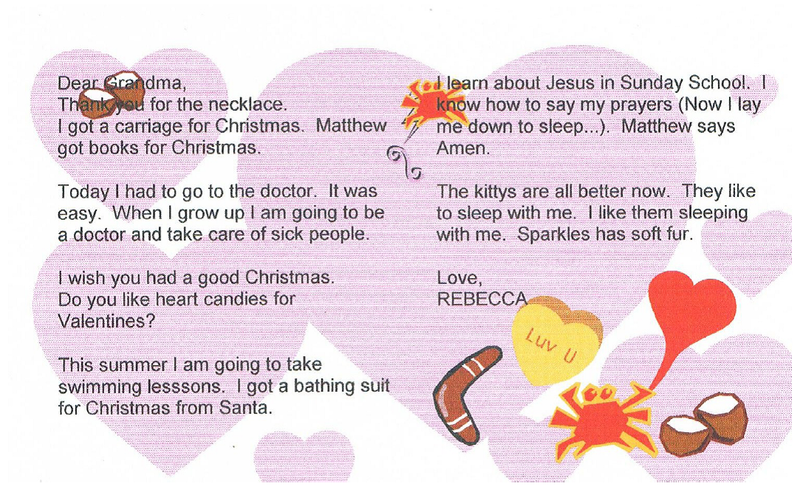 I remembered that when Rebecca was in camp we would send her notes and cards but what always received the most comment were the postcards, particularly the ones from her brother with the Ninja Turtles or Pokemon characters. After all, my ‘girly girl’ daughter didn’t seem the type to be a Power Ranger, etc., fan and her fellow campers delighted in seeing this other side of her. With this in mind we began sending postcards more regularly until now, if I remember; we put one in the mail each week. Superhero stickers are added to each card to let the recipient know Matthew is thinking of them. Over time this little project grew when I realized that people still do like to get mail and others could easily be into my week. I admit that I am probably the world’s worst when it comes sending a get well or anniversary card in a timely manner but these postcards were right here in the house and as long as I keep a sheet of the less expensive postcard stamps in stock it takes less than five minutes to put one in the mail. When my postcard selection began to dwindle some of my well-travelled friends were happy to share from their stash giving me an even greater selection. Postcards—they’re not just for travelers. You can do this too. We know the elderly aunts love to hear from us and just a postcard is enough to elicit a newsy letter from them. We have lots of instant communication via the social media with family and friends across the country but they still like to get something to hang on the frig, a little reminder that they are loved. If you have friends going through a trying time or maybe with health issues like chemo a postcard can be a little smile in their day. 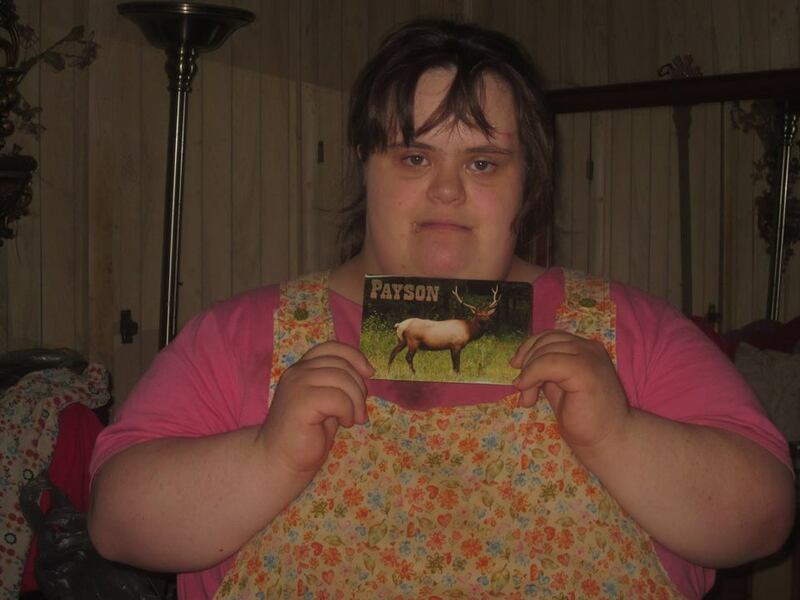 My friend Megan liked her card so much she shared it with everyone on Facebook! Buying the stamps does require a trip to the post office and then you have to find your stash of cards which, if you’re like me, are not sitting neatly at your desk waiting to be used. Even an arthritic hand can usually manage to write one postcard. Oh, and I do have one caveat. If you are sending cards to someone who is so unimpressed as to not even send you a text message then cross them off your list (unless it’s your grandson). Life is short. Send a postcard. Today’s note is personal. Today our baby, the same one that you have watched with us, has grown up. This afternoon we are going to attend The White Coat Ceremony for Rebecca’s Medical School Class of 2016. It’s hard to believe time can go so quickly. Because of our program with Matthew our family and friends have been closer than most. We’ve all watched Rebecca grow into a beautiful young woman. So today, I share the note we tucked in to Rebecca’s White Coat. A note to remind her of how her dreams have never wavered and how close she now is to reaching them. The letter to Grandma was written about age five. The Institutes we mention was the Institutes for the Achievement of Human Potential where we took Matthew all those years. Thank you for your continued support of both our children. It’s been a long road since you wrote that letter to Grandma. At age five it must have seemed like forever. Yet, here you are. No longer a pre-med student. No longer an undergrad. Here, at such an exciting point in your life. We knew you would be accepted by the school of your choice, even if you didn’t. We have watched you blossom and grow into a beautiful young woman. You can’t begin to imagine how proud we are of you. We always have been. Your love of learning made homeschooling so much fun. Your sense of adventure kept us from becoming too set in our ways. Your conversational skills and willingness to reach out to everyone also helped us (including your brother) be more outgoing. There has been no challenge to difficult or mountain too high. We are proud of how you managed to keep your eyes on the goal all the while continuing to walk forward to this point. Years ago, at the Institutes, they told us about you. That you would be a Super-Kid. That you would learn lots, be sociable, and at the same time be filled with empathy for others. Congratulations on this next step in your adventure. This week I was asked my opinion about differences using text books and digital books. It’s an interesting question and I hope you’ll toss in your thoughts. Coincidentally, this topic came up over the weekend with Rebecca. Some of the medical schools have all their books on an iPad; some still use texts. We also hear about public schools making the switch to digital books and know it’s a matter of time until everyone has a Star Trek style book reader. Our family has had some experience using digital books both for learning and for pleasure reading. One observation: Some people, like my parents, absorb everything they read and can have great discussions about a book. Some people, like me, zoom through the book and barely remember the title…even if it’s a good book. I need to hold something in my hand and take notes… (Come to think of it that’s how I watch TV too…no wonder I can watch reruns of NCIS over and over and think they are new episodes.) In other words, learning styles vary and so will what works best for each of us. But back to the books. As a homeschool family we were able to evaluate what worked and what didn’t when it came to teaching the kids. 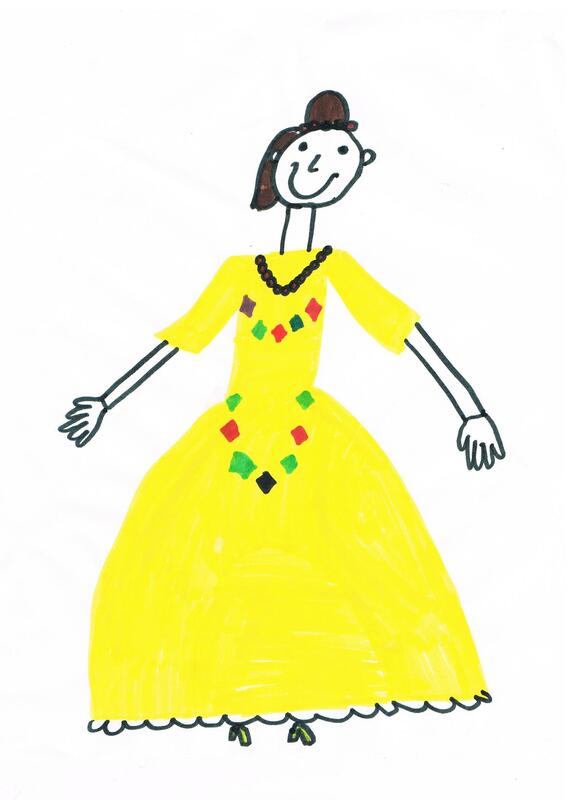 For Rebecca we used a curriculum that could be purchased in workbook form or digital. We chose the computerized versions for a number of classes. What I observed was that when the information was detailed and needed memorization (for example: dates and facts of history) it was hard to do on the computer. Yes, we could highlight portions but it seemed more difficult to retain the specifics. Often we would print out chapters giving Rebecca the ability to highlight, circle and otherwise note things on the paper. Maybe it was using another part of the brain? It would make sense. 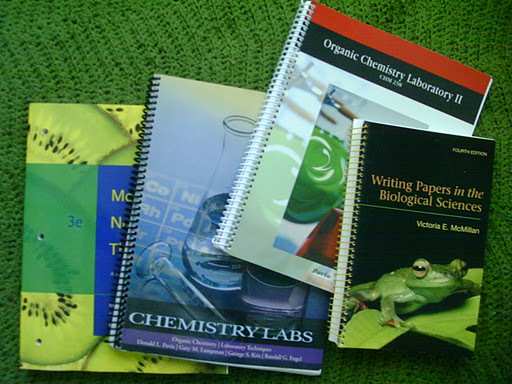 In college Rebecca had a similar experience when one of the science books was unavailable except as a download. I don’t remember how many of the chapters she printed but I know we went through a lot of paper that semester. One more example is my own experience when I do continuing education studies. Done online I find myself, not reading the information, but instead looking for an answer. Digital is great for doing key word searches. But when done this way I’m not sure how much of the material I’ve retained. We have also experienced the plus side of digital books. I’m sure you, like me, remember history books that were outdated the moment they went to print. 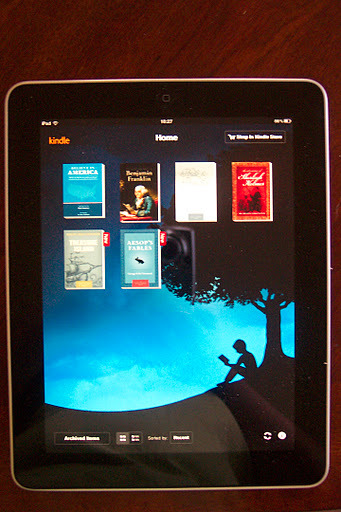 Today’s digital books can be updated with just a click. In addition, it’s great to have thousands of books at your finger tips. And, importantly, they cost less than paper texts and no more backache from carrying all those heavy books. I also love that digital text books often have ability for videos and other interactive media. Continued improvement of the text to speech readers is exciting. Read aloud information may be processed better by auditory learners. Looking back at pleasure reading might give more insight. Do you love to wander through the library or book store just looking for the right book or would you rather pick a book based on a photo or description and download it for instant reading? Does the idea of a dog eared paperback tucked in your back pocket for later reading get your attention or would you rather pull out your ebook reader and with a swish of your finger return to the last page you read? Perhaps the question is more philosophical than anything. What is the comfort level of the user? Those of us who have grown up flipping pages and visually working our way through chapters may not want to make the switch (or do you?) Kids who start with computers and now touch screen tablets may very well view all this differently. Still, I hate to think that paper books will become antiques like mimeographs. What do you think? This website is generally personal about family life and both its challenges and its rewards. I also write articles for a conservative website which are more focused on politics or conservative issues that are in the news. No, I don't write daily...my list of other things to accomplish each day is too long. I welcome your visit and your comments. Please leave a comment when you stop by. I read all your notes and try to respond to each one. WWMD –What Would Matthew Do? Five Years and I’m a Survivor!